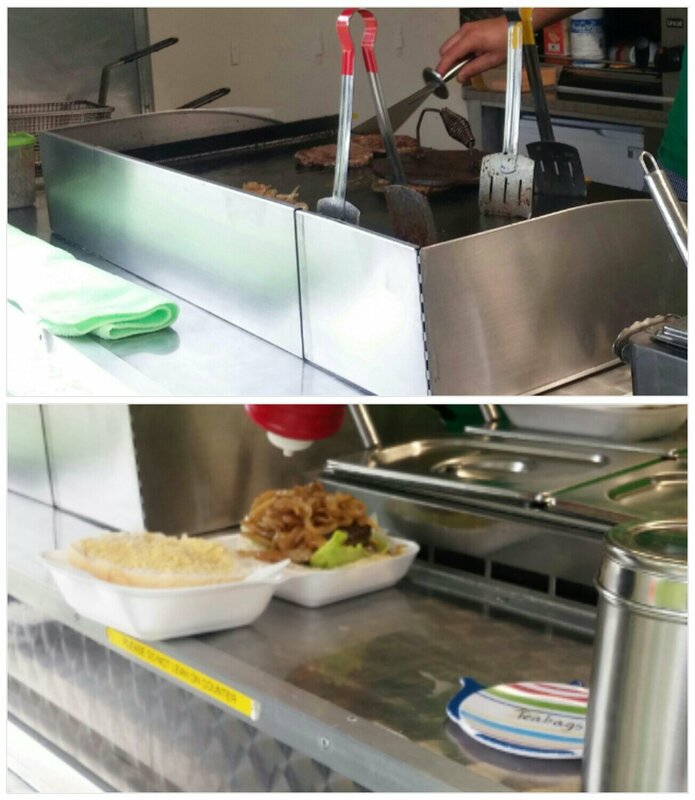 Nailing lunch – Pregos Street Food, Cardiff. Continuing with my recent theme of hidden gems in Cardiff (see my posts over the last couple of weeks on Calabrisella and Blue Honey Night Café), I have one this week that is under seriously deep cover in the form of Pregos Street Food. 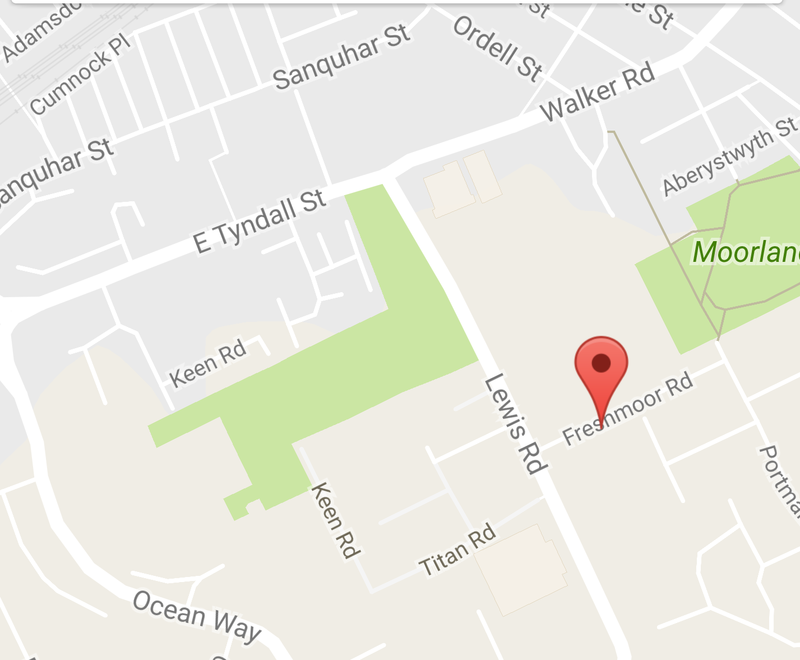 This place is a food trailer enterprise out in the relatively unexplored wilds of Splott, pitching up on Freshmoor Road. 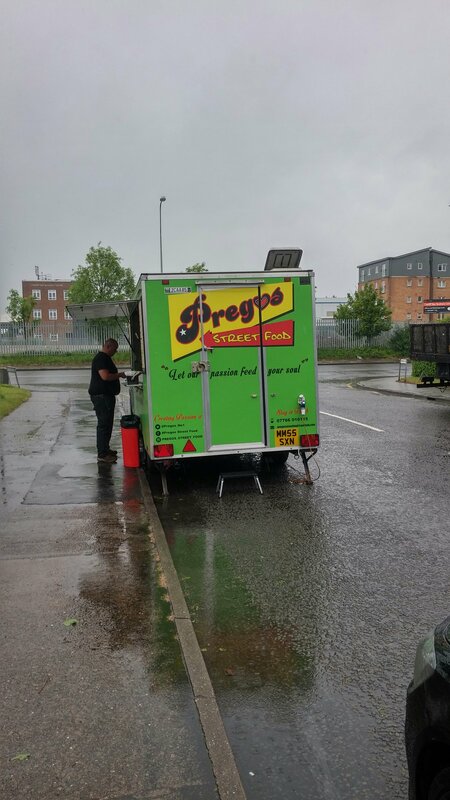 Generally when you see a trailer on the roadside (rather than at a food event) serving food you think dodgy burgers, hot dogs, breakfast baps, weak tea and the like. What you don’t expect is proper Portuguese food (well I don’t). I truly fell in love with the Portuguese sandwich culture whilst in Porto last year. 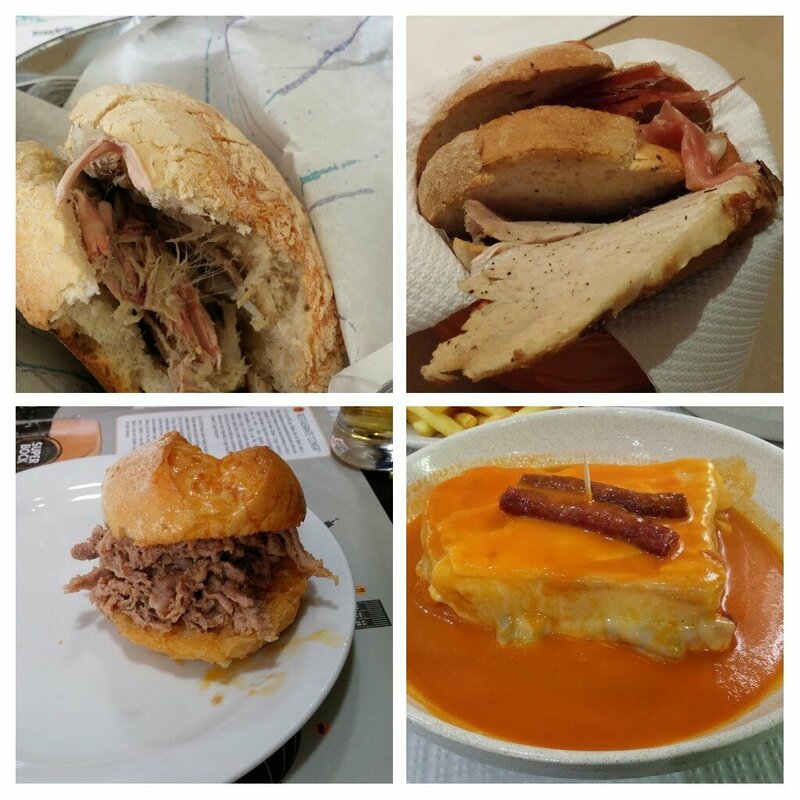 The bifana, the leitao, the terylene and the incomparable francesinha are right up there will the best sarnies around if you ask me. When it comes to Portuguese sarnies, you have to add to these the prego. The post title refers to the odd fact that “prego(s)” is Portuguese for nail(s). I can understand totally naming a street food enterprise after a classic Portuguese sarnie, but why that sarnie is named “nail” is beyond me. I like to think that whoever came up with this imperious garlic butter smothered steak sarnie, on perfecting it, thought ” I’ve nailed it”. I have researched its origins (on a cursory basis only) and can’t find an explanation for the name so will stick with my theory (hence the post title). Update : I have been informed by the people at Pregos Street Food that the “nail” name comes from the fact that the steak is bashed flat with a meat tenderiser (the hammer) making the steak the nail. Makes perfect sense now. This is a food trailer so in reality, bar from its somewhat out of the way location, there is not much to say. A five star hygiene rating is testimony to the fact that it is scrupulously clean (unlike many a food trailer I visited in my youth). Have to mention that the people manning it are really lovely, chatty, friendly people. Helps with that sometimes awkward wait for your food to be cooked (to order here). 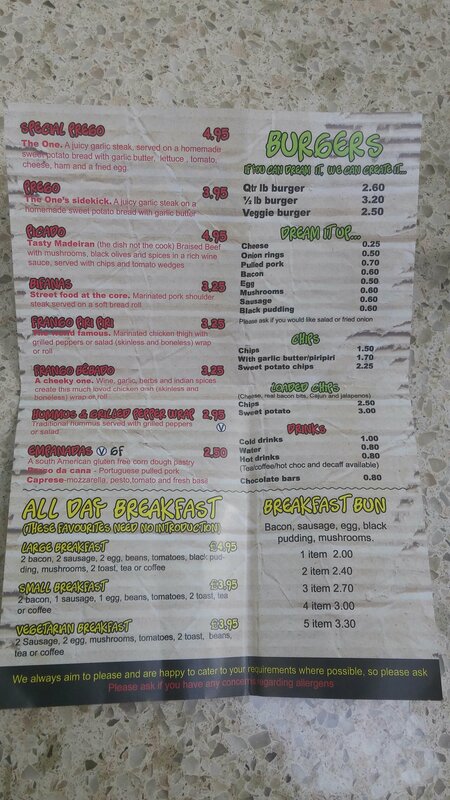 The menu is a mix of classic British breakfast fare, burgers and (of most interest to me) Portuguese street food. 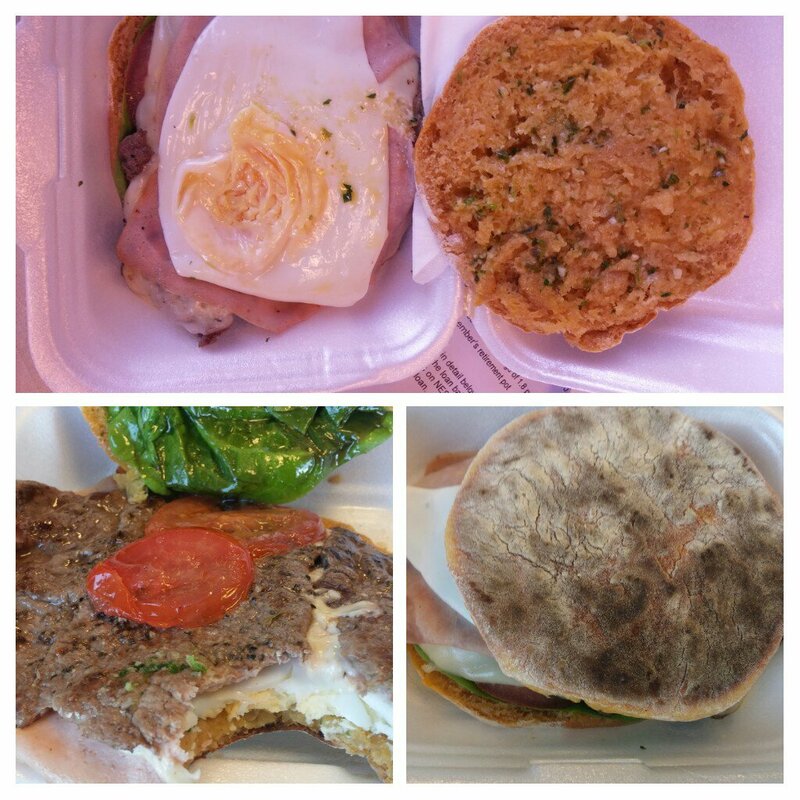 The burgers look very nice, but I was there for the Portuguese stuff. On my first visit (in the area due to a speeding misdemeanor resulting in a speed awareness course – how a sedate, middle aged, volvo driver like me can get done for speeding is criminal), I went for “the Special Prego” (£4.95). This consisted of a homemade sweet potato bun (very nice – bit denser than your common or garden bap) slathered with enough garlic butter to vampire proof you for life, a fried egg (would have preferred mine a bit runnier), ham, cheese and a lovely bit of beautifully tender thin cut steak (slathered in more garlic butter,just in case you happen upon Dracula himself). The whole think was finished off with veggies (lettuce and tomato) to make you feel better about yourself with the butter and meat fest you are tucking into. Individually all elements were good (bar from the egg being a tad over), but where this sarnie came into its own was as a whole. Lovely flavours that worked together exceptionally well. A hearty and above all very tasty sarnie and not what you would expect from a food trailer out in the sticks of Cardiff. On a second visit I went for that Portuguese street food classic, the bifana. 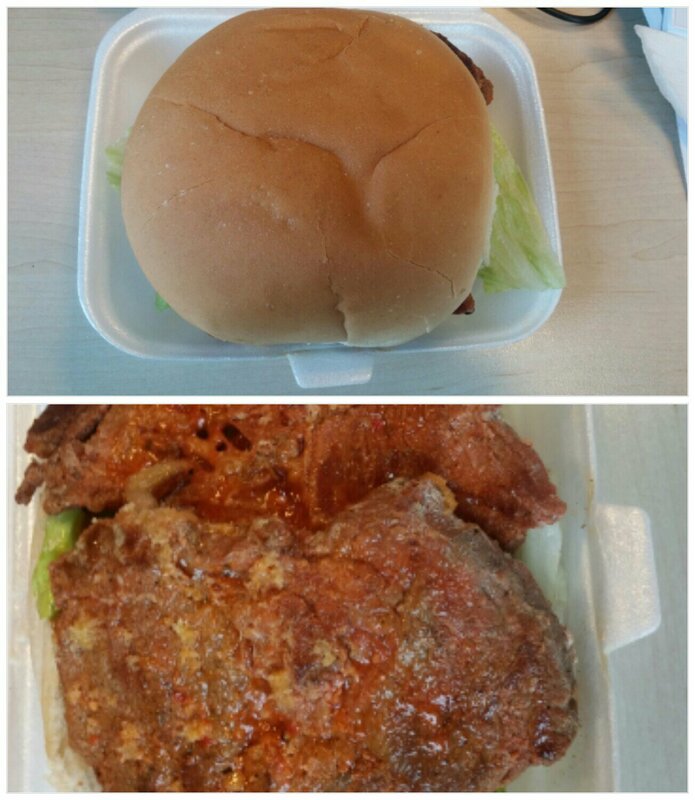 A somewhat disappointing bun (supermarket soft bap special) housed a large piece of marinated pork shoulder steak cooked on the flat top under an iron. Tender and nicely flavoured, with paprika and peri peri, it made for a filling lunch. Personally I think it would have benefited from the addition of some fried onions (something sweet for the peri peri heat) . Whilst not up there with the lovely bifana I had at Conga (casa das bifanas) in Porto (which was much more fiery on the spicing front), it still made for a tasty and very reasonable priced lunch at £3.25. 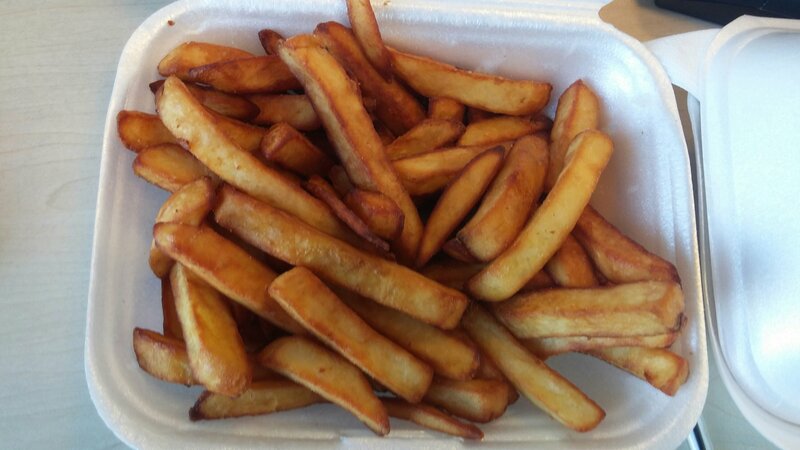 Chips (regrettably frozen – saw the packet – but understandable from a practical perspective ) can be had. 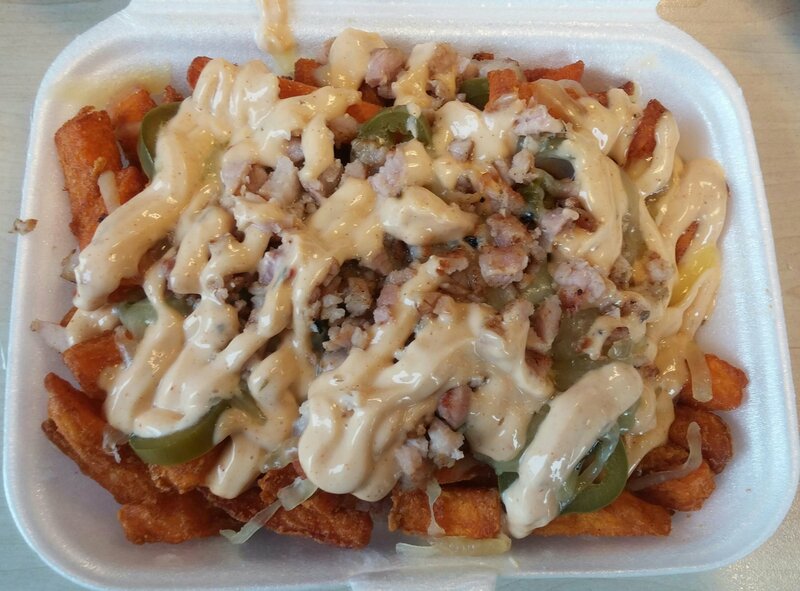 Options are potato or sweet potato and naked or loaded. and the loaded sweet potato ones (£3.00). Portuguese food seems to be a firm favourite in Cardiff and surrounds. We have the lovely Nata & Co. (at various locations), Amazonas (in Roath – must get to that place), Mae Maria (in Canton – on the list), Ty Gwn Wine Lounge (in Penarth – definitely on the list) and, the city centre stalwart, Maderia. 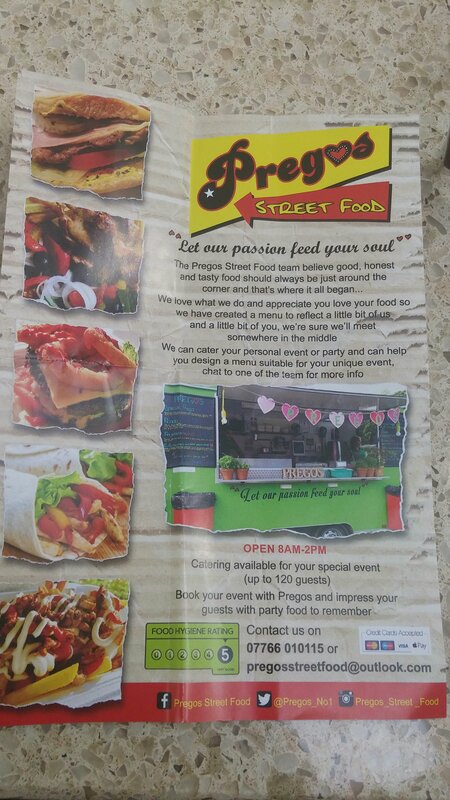 Whilst not a sit down establishment and somewhat out of the way, Pregos Street Food is well worth a bit of a detour to visit. Would I go back? Definitely – the Special Prego really is a cracking sarnie and other Portuguese stuff on the menu looks equally tantalising (loving the sound of the picado and the frango bêbado as options for next time). Just wish it was a bit closer to the city centre. Perhaps this is the way the Council should encourage independents into the city centre. 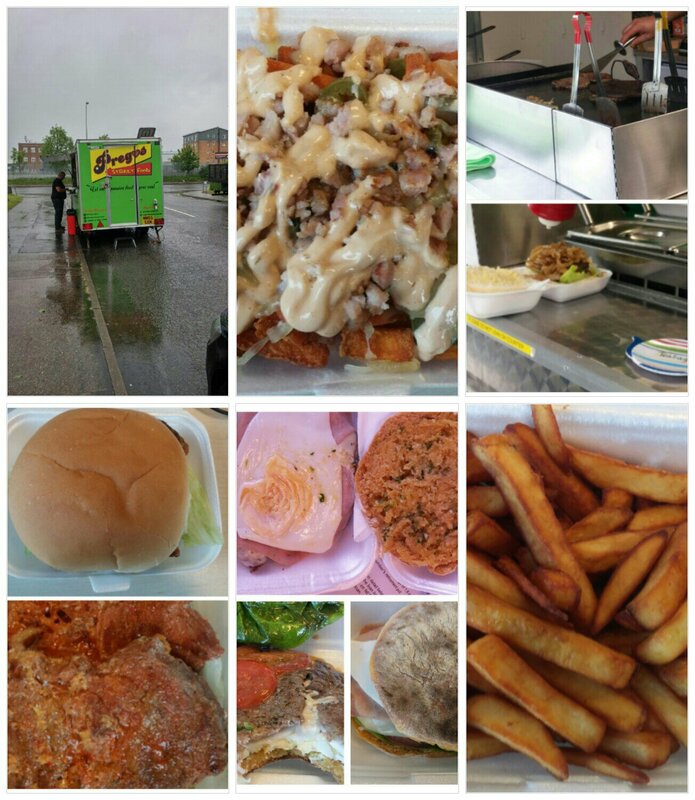 Offer licences (so get a good quality mix) for food trucks/trailers. We know, from the Street Food Circus, the Depot etc., the quality is there so why not. Cheaper and more flexible than permanent premise. Seems to me a good way to diversify the city centre away from the ubiquitous and utterly boring chains. Plenty of places where groups of food trucks/trailers could be located in the city centre. This entry was posted on May 21, 2017 by solicitingflavours in Bacon, beef, Breakfast, breakfast, burgers, Cardiff, coffee, Fast food, Food, food trailer, food truck, Portugal, Portuguese food, review, Sandwich, steak, Street food, Take away, Takeaway, Tea, Uncategorized, vegetarian food, Wales.